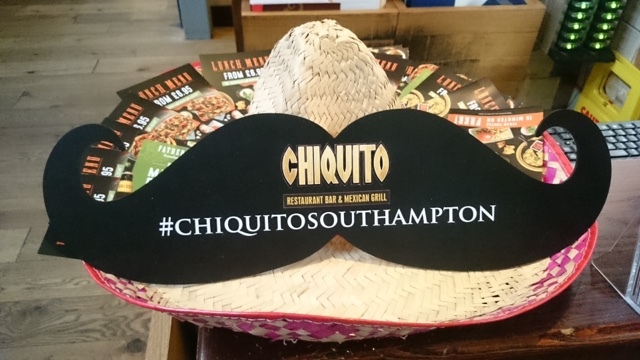 Early Evening Family Meal At Chiquito! 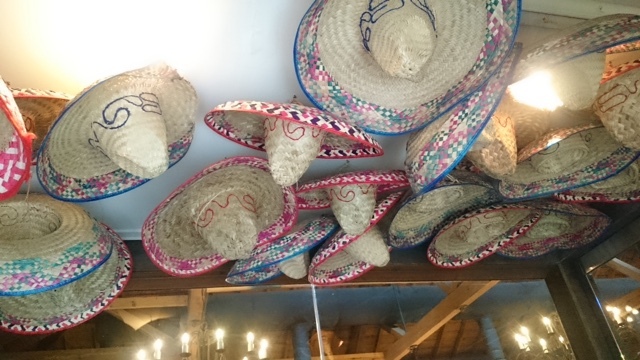 A few weeks ago when mum was still over we popped over to *Chiquito for an early dinner. 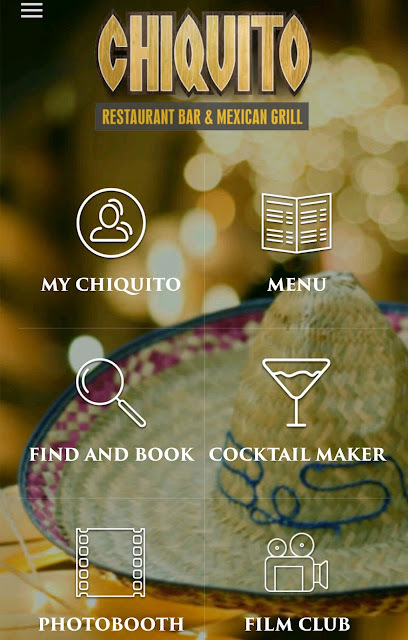 I downloaded the Chiquito app to book our table. If you download it now and register they are offering £10 off your order and you will also get updates on discounts / offers weekly. Instead of ordering a course each we decided to order lots and just share it out all. We asked for all the food to come out at once so we can just tuck in instead of waiting around for the different course. 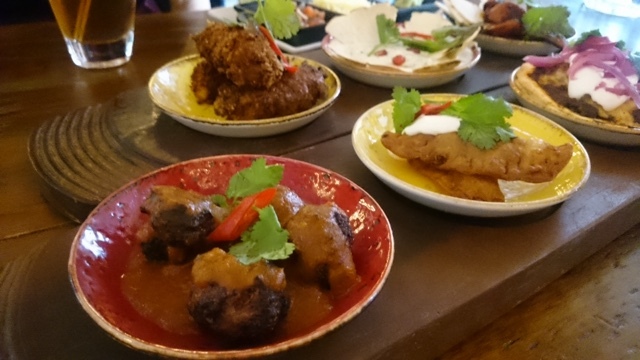 We ordered a selection from the "Street Food" which are like mini tapas for all to share - quesadillas bites, empanadas, sweet chorizo croquettes, pan-fried choizo the full works. 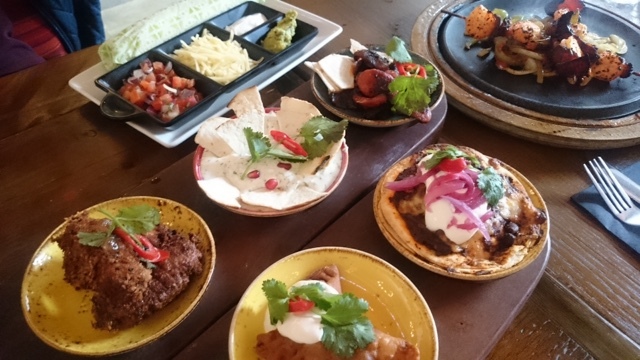 If you are new to Chiquito its worth ordering these mini dishes to try out. 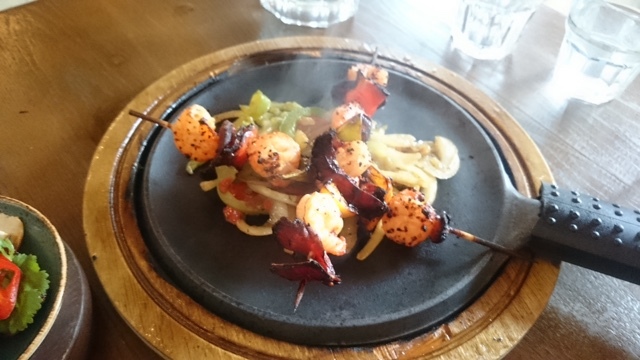 For mains we went for the classic Fajita king prawn and chorizo served over sizzling onions and mixed peppers served with warm soft tortillas along with the usual cheese, guacamole, sour cream and salsa. 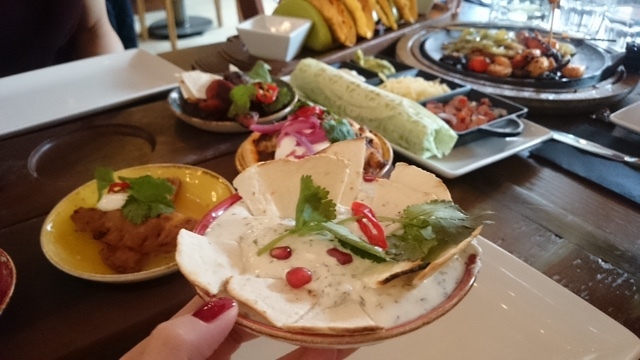 We ordered an extra portion of tortillas - this was by far my favourite dish. Everyone was full but I couldn't resist ordering the super soft lemon drizzle cake. 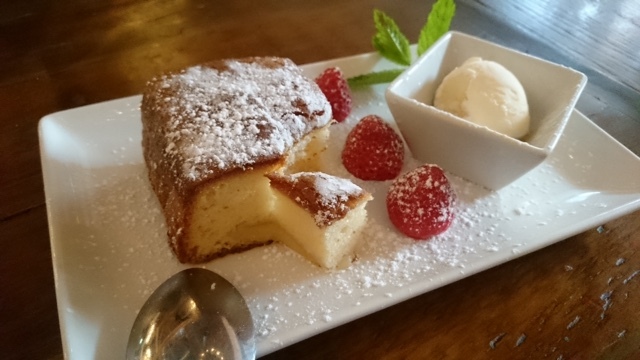 Super zesty lemon sponge cake served with raspberries and ice cream. We finished our meal around 6.30 when the restaurant started filling up which was perfect for us to head home to bathe Nicole and put her in bed at 8pm. Find your nearest Chiquito here.